by James Webb | The Wall Street Journal – Since World War II, despite the costly flare-ups in Korea and Vietnam, the United States has proved to be the essential guarantor of stability in the Asian-Pacific region, even as the power cycle shifted from Japan to the Soviet Union and most recently to China. The benefits of our involvement are one of the great success stories of American and Asian history, providing the so-called second tier countries in the region the opportunity to grow economically and to mature politically. As the region has grown more prosperous, the sovereignty issues have become more fierce. Over the past two years Japan and China have openly clashed in the Senkaku Islands, east of Taiwan and west of Okinawa, whose administration is internationally recognized to be under Japanese control. Russia and South Korea have reasserted sovereignty claims against Japan in northern waters. China and Vietnam both claim sovereignty over the Paracel Islands. China, Vietnam, the Philippines, Brunei and Malaysia all claim sovereignty over the Spratly Islands, the site of continuing confrontations between China and the Philippines. Such disputes involve not only historical pride but also such vital matters as commercial transit, fishing rights, and potentially lucrative mineral leases in the seas that surround the thousands of miles of archipelagos. Nowhere is this growing tension clearer than in the increasingly hostile disputes in the South China Sea. On June 21, China’s State Council approved the establishment of a new national prefecture which it named Sansha, with its headquarters on Woody Island in the Paracel Islands. Called Yongxing by the Chinese, Woody Island has no indigenous population and no natural water supply, but it does sport a military-capable runway, a post office, a bank, a grocery store and a hospital. The Paracels are more than 200 miles southeast of Hainan, mainland China’s southernmost territory, and due east of Vietnam’s central coast. Vietnam adamantly claims sovereignty over the island group, the site of a battle in 1974 when China attacked the Paracels in order to oust soldiers of the former South Vietnamese regime. The potential conflicts stemming from the creation of this new Chinese prefecture extend well beyond the Paracels. 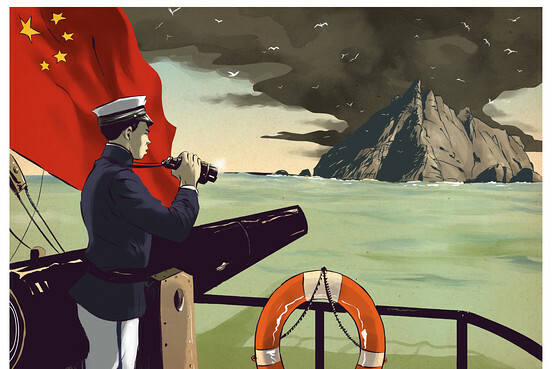 Over the last six weeks the Chinese have further proclaimed that the jurisdiction of Sansha includes not just the Paracel Islands but virtually the entire South China Sea, connecting a series of Chinese territorial claims under one administrative rubric. According to China’s official news agency Xinhua, the new prefecture “administers over 200 islets” and “2 million square kilometers of water.” To buttress this annexation, 45 legislators have been appointed to govern the roughly 1,000 people on these islands, along with a 15-member Standing Committee, plus a mayor and a vice mayor. These political acts have been matched by military and economic expansion. On July 22, China’s Central Military Commission announced that it would deploy a garrison of soldiers to guard the islands in the area. On July 31, it announced a new policy of “regular combat-readiness patrols” in the South China Sea. And China has now begun offering oil exploration rights in locations recognized by the international community as within Vietnam’s exclusive economic zone. For all practical purposes China has unilaterally decided to annex an area that extends eastward from the East Asian mainland as far as the Philippines, and nearly as far south as the Strait of Malacca. China’s new “prefecture” is nearly twice as large as the combined land masses of Vietnam, South Korea, Japan and the Philippines. Its “legislators” will directly report to the central government. American reaction has been muted. The State Department waited until Aug. 3 before expressing official concern over China’s “upgrading of its administrative level . . . and establishment of a new military garrison” in the disputed areas. The statement was carefully couched within the context of long-standing policies calling for the resolution of sovereignty issues in accordance with international law and without the use of military force. In truth, American vacillations have for years emboldened China. U.S. policy with respect to sovereignty issues in Asian-Pacific waters has been that we take no sides, that such matters must be settled peacefully among the parties involved. Smaller, weaker countries have repeatedly called for greater international involvement. China, meanwhile, has insisted that all such issues be resolved bilaterally, which means either never or only under its own terms. Due to China’s growing power in the region, by taking no position Washington has by default become an enabler of China’s ever more aggressive acts. The U.S., China and all of East Asia have now reached an unavoidable moment of truth. Sovereignty disputes in which parties seek peaceful resolution are one thing; flagrant, belligerent acts are quite another. How this challenge is addressed will have implications not only for the South China Sea, but also for the stability of East Asia and for the future of U.S.-China relations. History teaches us that when unilateral acts of aggression go unanswered, the bad news never gets better with age. Nowhere is this cycle more apparent than in the alternating power shifts in East Asia. As historian Barbara Tuchman noted in her biography of U.S. Army Gen. Joseph Stillwell, it was China’s plea for U.S. and League of Nations support that went unanswered following Japan’s 1931 invasion of Manchuria, a neglect that “brewed the acid of appeasement that . . . opened the decade of descent to war” in Asia and beyond. While America’s attention is distracted by the presidential campaign, all of East Asia is watching what the U.S. will do about Chinese actions in the South China Sea. They know a test when they see one. They are waiting to see whether America will live up to its uncomfortable but necessary role as the true guarantor of stability in East Asia, or whether the region will again be dominated by belligerence and intimidation. The Chinese of 1931 understood this threat and lived through the consequences of an international community’s failure to address it. The question is whether the China of 2012 truly wishes to resolve issues through acceptable international standards, and whether the America of 2012 has the will and the capacity to insist that this approach is the only path toward stability. Mr. Webb, a Democrat, is a U.S. senator from Virginia.